Dwight earned his Ph.D. from the University of Tennessee in August of 2008. During the educational and training process, he worked in a variety of settings and with a variety of populations. Specifically, he has worked in community mental health centers, university counseling centers, and with a crisis organization for children and adolescents. Dwight completed his pre-doctoral internship at The Ohio State University’s Counseling and Consultation Service. Dwight has been a licensed psychologist in the state of Ohio since 2009. Dwight’s orientation toward clients has a fervently humanistic slant to it. In essence, this symbolizes a desire to build, create, and foster relationships with clients that matter for the clients. To achieve this type of relationship, Dwight attempts to understand and connect to the whole human being, suggesting that acceptance is as important as change. Dwight views the therapeutic journey as a process of mending, growth, and empowerment, which can be accomplished by attending to the processes of daily living such as making routine decisions AND processes of existential living such as how human beings seek purpose and meaning in Life. Dwight has a deep respect for clients, hoping they feel his care and concern as well as his belief in their ability to change. In this light, he views his role as one where he helps clients feel empowered to interact with others, the world, or themselves differently and to develop the confidence, resilience, and belief to live a sustainable Life. Dwight has been trained as a generalist and embraces his ability to work effectively with diversity and most presenting concerns (e.g., trauma, loss, ADHD, depression, anxiety, substance abuse). He is also proud to be the owner of Affirmations Psychological Services... where diversity, social advocacy, and the belief in the human spirit are appreciated, valued, and nurtured. Dwight sees clients at our Broad St. location. Stephanie is licensed by the Ohio Counselor, Social Worker and Marriage & Family Therapist Board as a Licensed Independent Social Worker, and by the Ohio Chemical Dependency Professionals Board as a Chemical Dependency Counselor Assistant. She received her master’s degree in social work from The Mandel School of Applied Social Sciences at Case Western Reserve University, with a concentration in direct practice – adult mental health. Her previous social work experience includes providing individual and group behavioral health services at a grief/bereavement center and at a federally qualified health center. Prior to joining the staff at Affirmations, Stephanie also worked as a behavioral health therapist at a not-for-profit community-based healthcare organization specializing in providing integrated care to the LGBTQ community and persons affected by HIV/AIDS. Stephanie is trained as a generalist, but areas of particular interest include: working with individuals identifying as lesbian, gay, bisexual, pansexual, transgender, gender non-binary; anxiety; depression; grief/loss; life transitions; relationship concerns; work/career concerns; co-occurring mental health and physical health concerns; stress management; HIV/AIDS; substance use. She universally applies a strength-based perspective in her work with clients, giving emphasis to a client’s abilities, talents, and resources. Interventions utilized in her work include humanistic approaches, cognitive behavioral therapy, dialectical behavior therapy, and mindfulness-based techniques while working toward client-identified goals for therapy. Jessica is a licensed psychologist, who earned her Ph.D. from Marquette University. She obtained her undergraduate degree in psychology at University of Illinois. Jessica completed her predoctoral psychology internship at Primary Children’s Hospital in Salt Lake City, focused on therapy for children and families. She specialized in trauma-informed interventions for children and families during her postdoctoral fellowship at the University of Tennessee Health Science Center, Center of Excellence for Children in State Custody, where she later continued on as a full-time psychologist. Jessica believes the foundation of effective therapy is a strong therapeutic relationship based on empathy, understanding, and collaboration. As such, Jessica encourages her clients to actively participate in their own treatment planning to set goals that will have the most impact on their lives. Jessica relies heavily on evidence-based treatments such as Cognitive-Behavioral Therapy (CBT), Parent-Child Interaction Therapy (PCIT), Trauma-Focused Cognitive Behavioral Therapy (TF-CBT), Dialectical Behavior Therapy (DBT), and Systemic Family Therapy. Jessica also incorporates mindfulness-based techniques in treatment. Jessica also recognizes the importance of choosing a therapeutic approach that fits best for each individual client’s needs, strengths, and goals. Jessica was drawn to Affirmations Psychological Services because of the practice's commitment to and compassion for individuals from diverse backgrounds. Affirmations allows her to expand her work with adults while growing the practice's services for children, adolescents, and families. Jessica's specializes in helping parents learn the best ways to manage their child’s disruptive or externalizing behaviors (e.g., defiance, hyperactivity, aggression). She also enjoys working with youths and adults who struggle with internalizing concerns such as depression, anxiety, or trauma. It all started at Earlham College. Rachel Secttor was finishing her senior year and needed help. She found it at a psychologist’s office and, after a positive experience in counseling, she graduated with her Bachelor of Arts in English and Music. Rachel tried a variety of jobs including working in the music industry, nannying a 2-year-old, and real estate management. While living in Nashville, TN she decided it was time to go back to school and become a counselor herself. Rachel got her Master of Arts in Clinical Mental Health Counseling at Trevecca Nazarene University while working at Starbucks. She moved to Cincinnati in 2015 to complete her internship at Xavier University. The day after she finished, she started working at Eating Recovery Center of Ohio in Cincinnati. Working with eating disorders, anxiety, trauma, substance abuse, and personality disorders for over 2 years has allowed Rachel to hone practical ways to help people make major changes in their lives. She enjoys working with adults 18 and older and especially likes helping people through phase-of-life changes like moving, transitions to new jobs, and graduations. Rachel uses evidence-based counseling techniques (CBT, DBT, RO-DBT, ACT, narrative therapy and exposure therapy), her own life experience, and humor to show her clients that change, while challenging, can be an opportunity to grow. Heidi K. Carter is a Supervising Licensed Professional Clinical Counselor (LPCC-S) and a Licensed Independent Chemical Dependency Counselor (LICDC), specializing in treating mental health and chemical dependency issues. Heidi grew up in Valparaiso, Indiana, a small town in northwest Indiana. She received her bachelor’s degree in psychology from Augustana College, her master’s degree in counseling psychology from Illinois State University, and her master’s degree in counselor education from University of Dayton. In graduate school, Heidi worked with college students in the Student Counseling Center at Illinois State University. She also worked in a local mental health center during her graduate training with clients who had mental health and substance use issues. Her first job placement was working with adults who had suffered brain injuries at a rehabilitation center in North West Chicago. Upon moving to Columbus with her husband, Heidi worked for a private practice treating children and adults who were referred by their physician. She also worked for a local mental health center with the chronically mentally ill population. She then moved on to working for Adena Medical Center’s outpatient counseling center with children and adults doing both groups and individual counseling. Heidi has worked for the last 18 years with individuals with mental health, trauma, and addiction issues at CompDrug, Inc. where the primary clientele was individuals with opioid addiction issues on medicated assisted treatment. She had experience there with both individual and group counseling. She has been trained in EMDR (Eye movement Desensitization Reprocessing) since 2001 which is a therapeutic technique to assist individuals with unresolved trauma, grief and loss. Also, during her time there, she trained with Brené Brown and became a Certified Daring Way Facilitator. Brené Brown’s work focuses on shame resilience, vulnerability, self-compassion, authenticity and living a whole-hearted life. This certification allows her to facilitate both The Daring Way and Rising Strong curriculums in groups or individually to help people move through difficult shame issues. communication/relationship issues) and is passionate about working with people who have been marginalized by society. Heidi’s experience has had a focus and training in attachment theory looking at the influence of family of origin issues on how we develop as people and interact in relationships. She looks at how our experiences and traumas forms us, looking at the patterns we have fallen into, examining our values and helping you be your authentic self to allow for full connection in relationships. 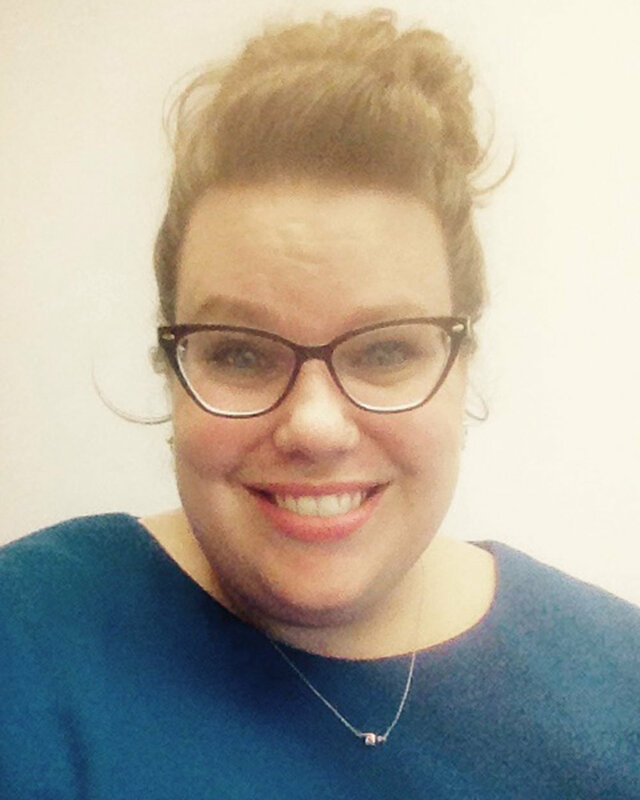 Krista Predragovich is a Supervising Licensed Professional Clinical Counselor (LPCC-S). She earned a Master’s Degree in Counseling Psychology from Temple University, an Educational Specialist Degree in Counseling, Supervision & Adult Learning from Cleveland State University, and has nearly completed a PhD in Counselor Education at The Ohio State University. Krista has been in the behavioral health field in many different capacities for 20 years. She respects and honors diversity, and is willing and able to work with most presenting concerns – trauma, depression, anxiety, relationships, substance use, grief/loss, and life transitions. As a Gestalt trained counselor, Krista helps the individuals she works with become aware of what they are doing, how they are doing it, and how to make space for change. This collaborative, holistic approach emphasizes self-acceptance and promotes awareness of the ways that unexamined thoughts, emotions, and behaviors can impede growth. Todd A. Carter is a Supervising Licensed Professional Clinical Counselor (LPCC-S) and a Licensed Independent Chemical Dependency Counselor (LICDC), who specializes in treating mental health and chemical dependency issues. Todd grew up in Groveport, Ohio. In 1990, he received his Bachlor's degree in psychology from Capital University in Bexley, Ohio. 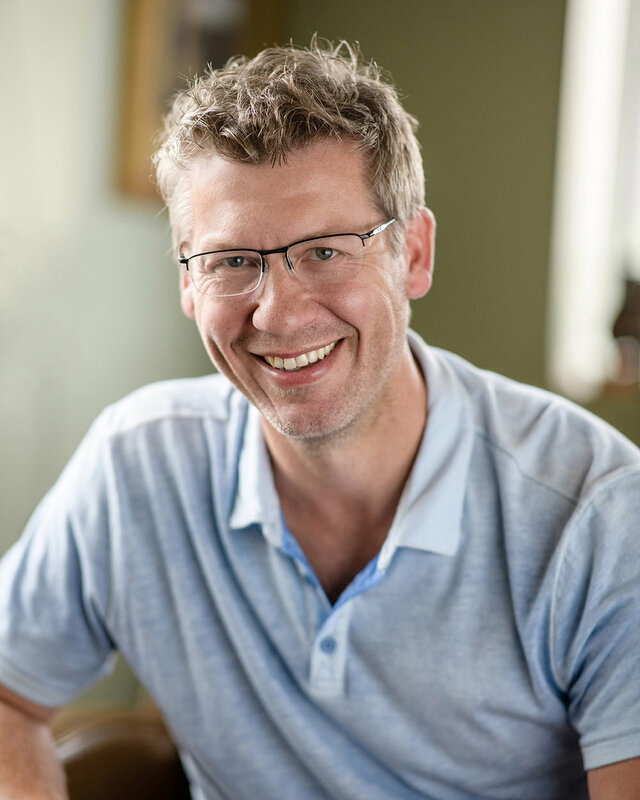 In 1992, Todd received a Master's degree in counseling psychology from Illinois State University and in 1996, he obtained second Master's degree in counselor education with a focus on Social Agency Counseling from the University of Dayton. In 2002, Todd completed the level II training for EMDR, a specific therapeutic technique used to assist clients in resolving traumatic experiences. During his graduate studies, Todd worked with college students in the Illinois State University Counseling Center. He also worked at a local mental health center with clients dealing with mental health and substance use issues. Todd's Master's Thesis looked at how people adjust to multiple grief and loss experiences. Following graduation, Todd lived in Chicago working for two years at Community Counseling Centers of Chicago, the largest mental health center in the city where he worked with chronically mentally ill clients with a history of multiple psychiatric hospitalizations. In 1994, Todd and his wife, Heidi returned to the Columbus area. Todd worked in the Emergency Services Department at Southeast, Inc., a mental health center serving clients with chronic mental health and substance use issues. Todd worked next at Netcare where he preformed mental health and substance abuse assessments on clients seeking linkage to community mental health services. While Todd would consider himself a generalist, in that he works with a variety of mental health and addiction issues, Todd also has clinical areas of specialization in grief, trauma, and the treatment of PTSD. His approach to treatment is a combination of looking at the influence family of origin experiences have on the development of mental health and addiction issues, the impact of traumatic events on brain chemistry with a strong belief in utilizing psychiatric medications for symptom management/treatment of these chemical imbalances in the brain with a large focus on the utilization of Medicated Assisted Treatment in the long term treatment of addictive disorders. Todd places importance on helping clients gain an understanding of the impact traumatic events have on clients' present day functioning without continuing to allow these experiences to define our personhood/life legacy. Other foci of his work with clients includes examining different kinds of dysfunctional attachments with others with the hopes of adjusting interactions toward healthier ways of relating to others, and skill development of sensory modulation/grounding techniques to decrease emotional dysregulation/high states of physical arousal (living in a tense body/fight, flight, or freeze (sympathetic nervous system) with the goal of spending more time in a relaxed body (parasympathetic nervous system). For the last 21 years, Todd worked at Compdrug as a counselor providing individual and group therapy services to clients on Medicated Assisted Treatment for Opioid Dependence. Todd also served as a clinical supervisor for professionals seeking their independent counselor license. Caleb believes in every human being’s unique capacity to move through suffering and towards life. Through co-creation, authentic connection, and curiosity, he works with clients to gain a clearer understanding of and access to their innate potential to lead a meaningful life. Caleb believes in a holistic approach to counseling, with an openness to all parts of the mind, body, and soul. He believes in each client’s ability to understand what approach will work best for them, and incorporates elements from mindfulness-based, emotion-focused, interpersonal process, and somatic therapies. Caleb also really finds it cool to connect with others on this journey, and is extremely grateful for all those who have worked with him in the past. He believes that healing is available in the present moment, and looks forward to meeting you there. Caleb is a Licensed Professional Clinical Counselor (LPCC). He earned a master’s degree in Clinical Mental Health Counseling from Ball State University in 2012. After graduation, he worked as a counselor at a Community Mental Health Center for several years. He has worked at Columbus College of Art & Design’s Counseling & Wellness Center since 2013, and worked at Otterbein University’s Counseling Center from 2015 to 2019. He is currently in his second year of training in Somatic Experiencing®, a body-oriented approach to the healing of trauma and other stress disorders. Caleb is interested in working with those from diverse cultural, ethnic, spiritual and racial backgrounds, and was drawn to Affirmations due to their mission of providing respectful and inclusive therapeutic support for the all those in the Columbus community. Tracy, a licensed independent social worker, grew up in a small town in Ohio before embarking on her educational journey. She received her Bachelor of Arts in Psychology and Sociology from Ohio Northern University in Ada, Ohio where she spent her time focusing on research and behavior. She received her Masters in Social Work from the Mandel School of Applied Social Sciences at Case Western Reserve University. Her concentration was in children, youth, and families, and she spent much of her time working in mental health settings. Tracy has worked in school settings, community mental health, psychiatric hospitals, and education. She has provided mental health counseling services to children, adolescents, and families. Tracy primarily works with clients who are experiencing depression, anxiety, trauma, life transitions, family issues, self-esteem, identity concerns, and adolescence in the LGBT community. She also has received comprehensive training in Trauma Focused Cognitive Behavioral Therapy along with cognitive behavioral therapy. Tracy wants to engage you in a collaborative process where you are always respected and able to share and work to improve your life. Affirmations is thrilled to include Amy Pfeiffer Nims, MA, PCC-S as a part-time psychotherapist on our staff. Amy has been with Affirmations since September of 2006. Currently, Amy is the full-time Associate Director of Foster Care at The Buckeye Ranch. She has extensive experience with adolescent and family counseling, and formerly worked counseling students at The Ohio State University. Amy received her Master’s in Clinical Counseling at The Ohio State University and her Bachelor’s from Purdue University in Lafayette, Indiana. Amy is a goal-oriented therapist demonstrating trauma-informed approaches based in Solution-Focused Therapy, Dialectical Behavioral Therapy, Systems Approach, and some Psychodynamics. She specializes in individual, family, and couple’s work, adolescent and adult populations, and LGBTQ issues and support. Amy has experience working with depression, survivors of sexual and physical assault/abuse, family dynamics, Borderline Personality Disorder, self-esteem issues, and relationship issues. Amy has run empowerment, support, and psychodynamic groups for young women, gay/bisexual men, and LGBTQ youth. Amy has guest lectured at Purdue University, The Ohio State University, and Texas A&M – Corpus Christi. At a local, state and national level, she has presented to mental health professionals, agencies, and the general public on issues such as: stress management, family relationships, LGBTQ culture, sexual development, relationship management, trauma-informed care, and foster care nuances. Paula is a people person and enjoys working and interacting with clients. She joined Affirmations to round-out her professional career after holding various and diverse senior administrative positions in the non-profit and business communities, as well as a paralegal in private companies and law firms in and around the Columbus-area. Paula and her husband live on Big Darby Creek where she loves kayaking, gardening, and entertaining friends, neighbors and family.